This is a scalable context timeline. 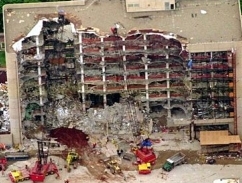 It contains events related to the event May 9, 1997: Prosecutors Establish Timeline of Events Leading up to Rental of Truck Used in Oklahoma City Bombing. You can narrow or broaden the context of this timeline by adjusting the zoom level. The lower the scale, the more relevant the items on average will be, while the higher the scale, the less relevant the items, on average, will be. 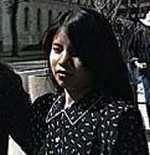 Marife Nichols in 1997. [Source: CNN]Terry Nichols, a shy Army veteran (see March 24, 1988 - Late 1990) drifting through life as a single (see November 1988), underemployed father, does something that surprises everyone he knows: he leaves his home state of Michigan for the Philippines to marry a mail-order bride, 17-year-old Marife Torres, who lives with her parents in a small apartment above a lumberyard. Torres lives in Cebu City, where Nichols meets her. Her parents are leery of their daughter marrying an older man; in talking with Nichols, they learn that he wants a Filipino bride because he has been told “they stayed at home.” The two are married on November 20, 1990 at a Chinese restaurant in Cebu, and Nichols returns to Decker, Michigan, to begin the legal process necessary to bring Marife back to the US. [New York Times, 5/28/1995; PBS Frontline, 1/22/1996; Serrano, 1998, pp. 74-75] Nichols will later be convicted of conspiracy in the Oklahoma City bombing (see 8:35 a.m. - 9:02 a.m. April 19, 1995). His connection to the Philippines will result in shadowy connections with suspected Islamist terrorists in that nation (see Late 1992-Early 1993 and Late 1994 and November 5, 1994 - Early January 1995). Ranch hand Terry Nichols (see March 24, 1988 - Late 1990, December 22 or 23, 1988, and October 12, 1993 - January 1994) prepares to leave his job on a Marion, Kansas, farm (see March 16, 1994), in part because his wife Marife (see July - December 1990 and November 22, 1993) is planning on leaving him. Marife Nichols has complained that she is treated more like a cook and a maid than a wife. She leaves in the fall, and takes their young daughter Nicole with her to her home in Cebu City, Philippines. Nichols quits his job on September 30, and tells one of his boss’s sons that he is going into business with his friend Timothy McVeigh (see November 1991 - Summer 1992, February - July 1994, September 13, 1994 and After, and September 12, 1994 and After), selling guns and military surplus. Nichols has apparently already begun mulling over some sort of physical assault on the federal government with McVeigh (see September 13, 1994), and has begun obtaining materials for a bomb (see September 30, 1994 and October 18, 1994). In October, he will begin using aliases to rent storage lockers and obtain ammonium nitrate, a fertilizer that can be used to make a powerful explosive when mixed correctly with fuel oil (see October 4 - Late October, 1994, October 17, 1994, and October 21 or 22, 1994). 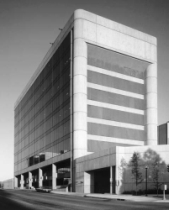 [New York Times, 5/28/1995; New York Times, 12/24/1997] Nichols will later take part in the Oklahoma City bombing with McVeigh (see 8:35 a.m. - 9:02 a.m. April 19, 1995).